Welcome to Myrtle Beach Tee Times Now! Welcome to MyrtleBeachTeeTimesNow.com - the hottest spot for golf and accommodations deals in Myrtle Beach! This site is designed to save you time and money. Together with over 90 courses and the expertise of our golf experts, we can show you how to save lots of money on your Myrtle Beach tee times, especially within 48 hours of your tee time! 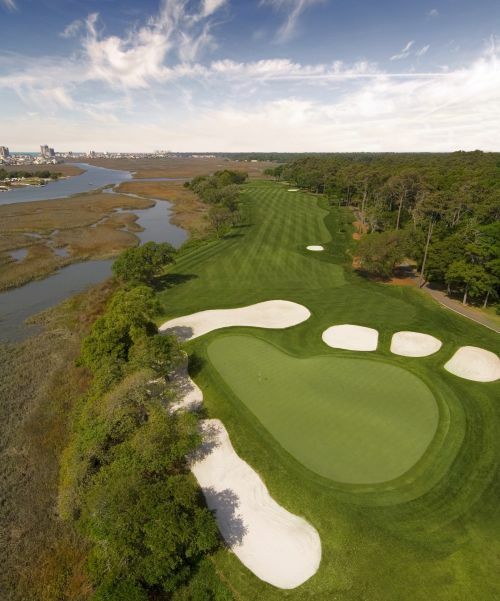 You will have access to the biggest discounts on an extensive list of award winning courses along the sixty mile stretch of the Grand Strand up to two days before you want to play. Select from the most scenic views and challenge your group to tee off at world famous holes. The most picturesque courses along the Intracoastal Waterway with old oak trees with scenes straight out of the movies are all offered through our special packages with the best rates possible. Whether you’re a beginner or a more seasoned player, you’ll find the course you love and come year after year to discover the rest! There’s no better deal on last minute golf around. Need a place to stay? Our sister company, Elliott Beach Rentals, offers up to 20% off rates in their amazing rental units. Select from condos overlooking the magnificent golf courses, or a luxury home fit for a king or queen nestled on the beaches of the Atlantic Ocean. Beach condos, smaller cottages and luxury villas are some of the other wonderful properties Elliott Beach Rentals offers to its visitors. Wherever you want to stay you can find the perfect spot to relax after a long day full of golf. Elliott Beach Rentals can provide accommodations from a small condo for a couples get-a-way weekend to a 12 bedroom house with 24 beds!. Check out their website and start planning your next trip now! Are you a local? You can take advantage of these great rates too! You also will save the most money on your tee times especially on last minute tee times! What’s not to love about a plan that saves you money so you can golf even more in America’s Seaside Golf Capital of the World? Sign up today to start saving now! com - the hottest spot for golf and accommodations deals in Myrtle Beach! This site is designed to save you time and money.